Today I received the results of the Oral Glucose Tolerance Test (for Growth Hormone) and other blood tests that I had on 11 June 2010. It’s still really good news! My random fasting Growth Hormone (GH) was 0.4 ug/ml, and the Glucose in the OGTT suppressed my GH to 0.3 ug/ml. I wish in a way this suppression had been better, but it still “passes” as far as the new stricter classification of remission goes. 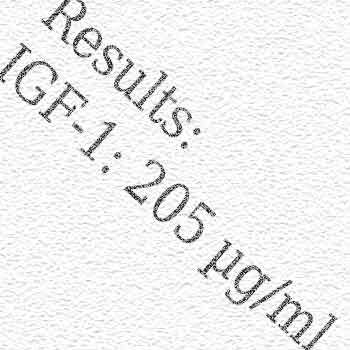 The great thing is that my Insulin-Like Growth Factor-1 (IGF-1) is a very normal 205 ug/ml (smack bang in the normal range for my age). It’s this IGF-1 value that paints the picture of what my GH is up to generally, so this is an excellent value!